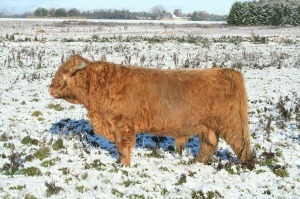 Severe cold weather, winter storms and blizzards can cause significant problems for livestock and livestock owners. If you are a livestock farmer, it is important that you prepare for the harsh weather with additional care and shelter for your animals. Depending on your region you may still be experiencing some severe winter weather conditions and snow storms from time to time. 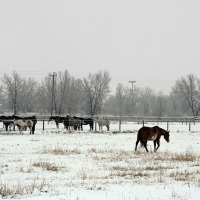 Winter storms can be stressful to your livestock, especially if they are kept outdoors. If you are farming in a region which is affected by severe weather conditions, it can affect the health of your livestock and reduce production. Cold, wet conditions and wind chill can weaken animal’s immune systems and increase their chances of becoming sick. When a storm brings strong winds, there can be snow drifts, damage to fences, as well as damage to animal sheds and shelters. Frigid temperatures can freeze water sources, and water tanks, causing dehydration in your animals. Snow can also make it difficult for vehicles and livestock to move and may prevent you and your animals from accessing feed, water, or proper shelter. Before a snowstorm strikes, prepare an emergency plan for your animals. You should have alternate feeding options in case your roads get blocked with snow. Also keep an alternate water supply available and plan ahead for alternative heating options. Also keep in mind that you may have a power outage during a severe storm, so keep emergency power options accessible. If possible move animals to indoor shelters and provide extra bedding for young animals, sick animals, or animals with special needs. Keep a list of all the animals you own. Keep records of their vaccinations and health history. Make sure they have permanent identification such as a brand or ear tag. Make sure you have contact information for animal health care centers and vets. Develop a list of people, or agencies, and suppliers that you can seek help from if needed. Set up shades, wind breaks, and shelters. 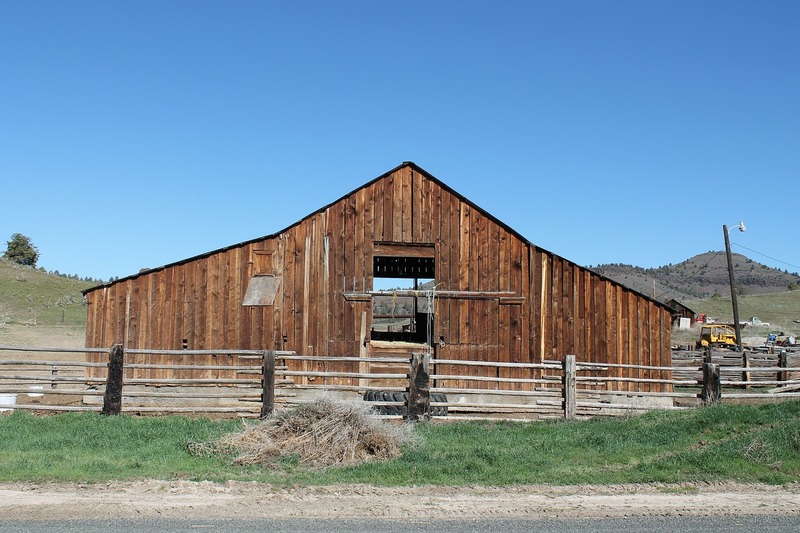 Winterize your farm barns, or any buildings that provide shelter for your livestock. Seal all windows, repair all leaks, and reinforce walls as needed in any building where you keep animals. Ensure proper ventilation, while still limiting drafts, and provide enough space for livestock to move around comfortably. Make sure water containers are away from ice build up and use a water heater or agitator. 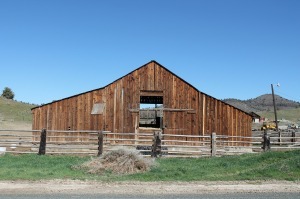 Check your barn and farm land after a severe snowstorm for any damages caused by wind, snow, or broken branches. Animals can also become stuck in deep snow. Young animals are particularly vulnerable to snow hazards. They may get stuck or stranded in snow, preventing them from reaching their shelter or feed. Animals exposed to severe cold may suffer from frostbite or develop Hypothermia. Minimizing winter stress and supplementing feed to provide adequate nutrition during the winter is very important. It could increase your farm production even further. Wind chills and wet weather cause more winter stress to the livestock than cold weather alone. Wind brings their cold tolerance level down. 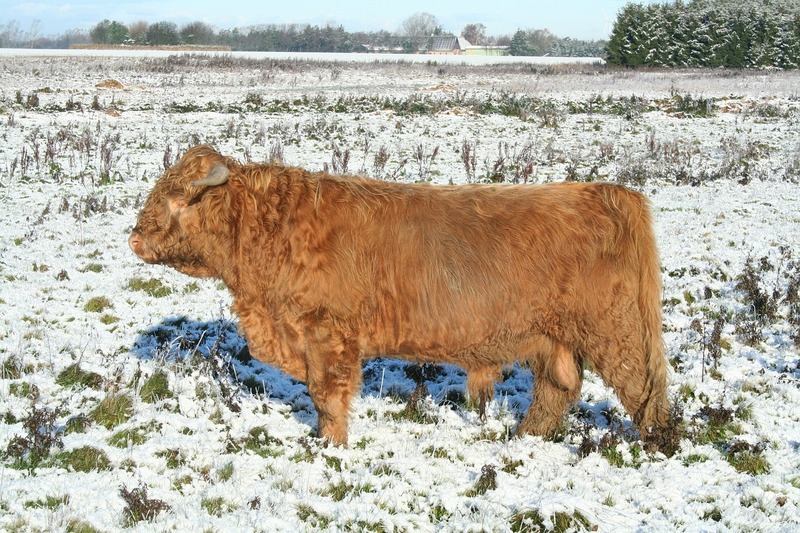 Animals with thick winter coats tend to do well in cold weather, but even they will reach a point when the temperature are too low. This critical point varies depending on breed and species. If the weather is wet or windy, particularly if your animals are wet, the animals cold tolerance will be lower. So even if on a dry day your animals can tolerate a 20 degree night, they may not be able to under wet conditions. Feeding your animals during the cold winter can be a challenging task. During the winter, provide extra feed to your animals to cope with winter stress. Fluctuations in temperature and the extra energy required to move through snow will drain your animals quickly and so, they will need extra calories in their diet. Put out slightly more feed than in summer in all feeding areas and make sure that all animals have enough space to access the feeding area. Take extra care for feeding animals with special need, such as young ones, weak animals, or pregnant animals. Have you tried our DIY systems? If you have, please provide us your feedback on it. If you haven’t tried it, now is the best time to obtain a DIY system and try it yourself. Find DIY plans for proven livestock feeding systems here. You can also get your Feed in A Box Microgreens (fodder) from us to see how great it is!! 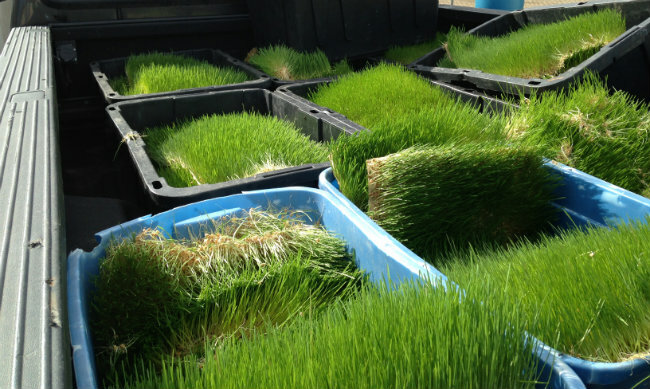 To obtain your DIY system and seeds please contact us at 303-495-3705 or Click here to book a meeting with us.